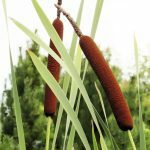 The problem with using common plant names instead of the tongue-twisting Latin names that scientists assign them is that similar-looking plants often wind up with similar names. 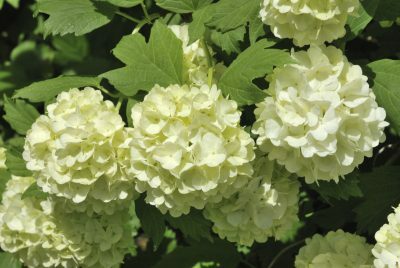 For instance, the name “snowball bush” can refer to a viburnum or a hydrangea. 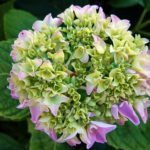 Find out the difference between viburnum and hydrangea snowball shrubs in this article. Snowball hydrangea shrubs grow 4 to 6 feet tall, while the viburnums grow 6 to 10 feet tall. 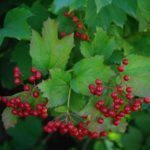 If you’re looking at a shrub that is well over 6 feet tall, it is a viburnum. A snowball viburnum bush won’t tolerate a climate colder than U.S. Department of Agriculture plant hardiness zone 6. Snowball bushes growing in colder climates are probably hydrangeas. The hydrangeas have a much longer bloom period than the viburnums, with blossoms remaining on the shrub for as long as two months. Hydrangeas bloom in spring and may rebloom in fall, while viburnums bloom in summer. Hydrangeas have smaller flower heads that seldom exceed 8 inches in diameter. Viburnum flower heads are 8 to 12 inches across. These two shrubs have similar requirements: they like light shade and moist but well-drained soil. Viburnum can tolerate drought in a pinch, but hydrangea is insistent about its moisture. The big difference is in the way the two shrubs are pruned. Cut hydrangeas back hard in late winter. This encourages them to come back lush and leafy in spring. Viburnums, on the other hand, need pruning right after the flowers fade. If you wait too long, you could lose next year’s beautiful flush of flowers.